There are certain watches that soar to an iconic status. 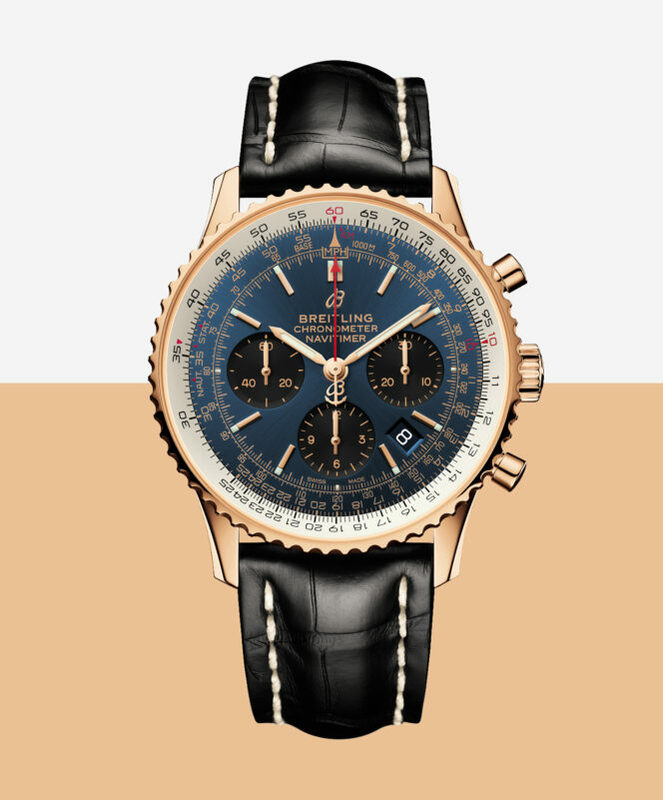 The Breitling Navitimer is one of them. 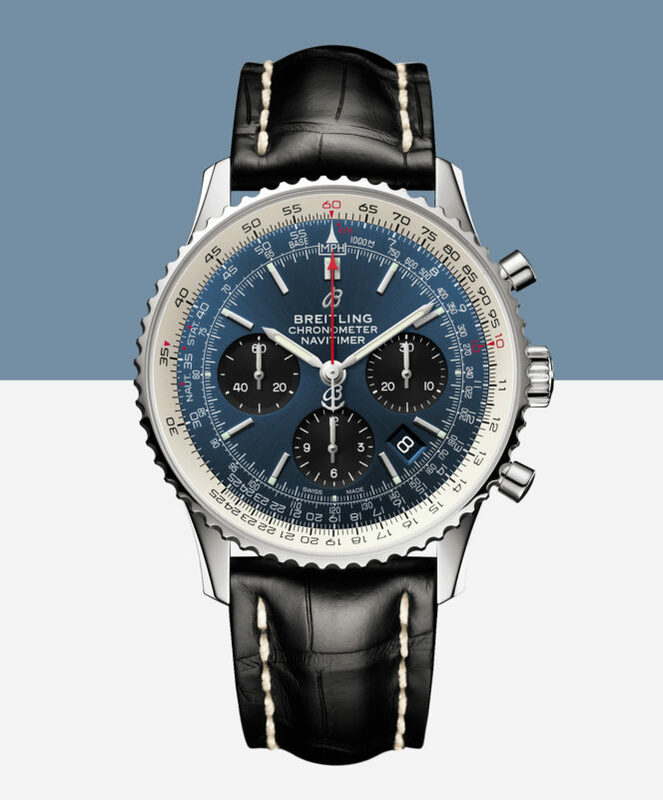 So synonymous with pilots that it sits alongside aviator sunglasses and shearling jackets, a pilot is not fully dressed until he straps on his Navitimer. With the Navitimer 1 B01 Chronograph 43, the Swiss brand have taken their iconic range to new heights. A class bi-directional ratchet rotating bezel makes this a true Navitimer, originally used by pilots to time flybys and speed. 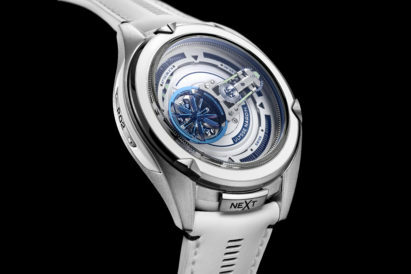 So, not only is this watch functional, but it also gives the timepiece a timeless look. The contrast sub-dials give this a real Tropical or Panda/Reverse-Panda look that ups legibility and adds a distinctive feel to the dial. The hands on this model are all coated in Super-LumiNova, affording the wearer perfect visibility — even after the cabin lights are turned off. "There are certain watches that soar to an iconic status. The Breitling Navitimer is one of them..."
The latest Navitimer is powered by the Breitling in-house Manufacture Caliber 01 movement which will keep it ticking along reliably above the clouds for years to come. As you know, Breitling has been connected with pilots and aviation for most of its history and is currently helping the RAF celebrate its 100 year anniversary. 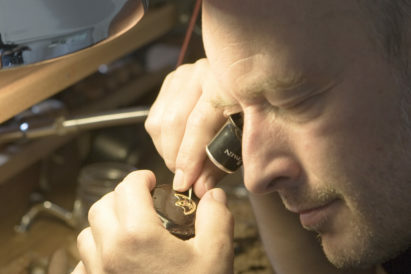 And, while they have specialised in chronographs since the pocket watch chronographs that launched the brand, the engineers have been steadily improving their mechanisms for over a century, until we have reached where we are today. Now, with eyes firmly on the future thanks to CEO Georges Kern, Breitling are introducing yet more new technologies to their timepieces. However, this model keeps things refreshingly old school with its fully automatic movement and stainless steel case and pushers. While it not come in precious metals — there is an 18-carat red gold version — the stainless steel offers a massively durable timepiece. And it’s hardy too, destined to maintain its good looks no matter how many timezones it traverses or continents it touches down in.